In 1918 Woodrow Wilson was the President of the United States, America was fighting over seas in WWI, and the Roaring 20’s were about to change the world. 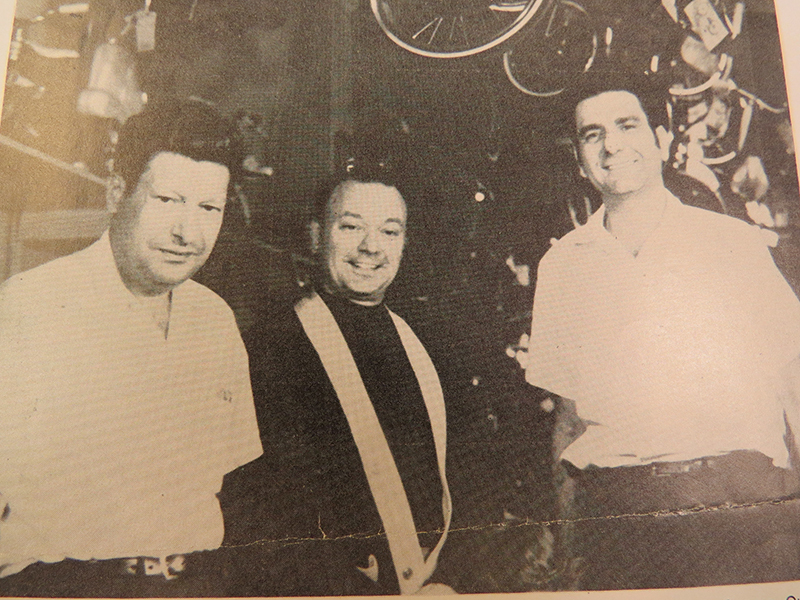 It was also the year that Salvatore “Sam” Bellitte, a Sicilian immigrant living in New York, opened a bicycle, motorcycle, radio repair shop at 169-20 Jamaica Ave. Jamaica, Queens. On his first day of business Sam only sold two batteries for a profit of 65 cents. Discouraged, he went home that night and told his wife Josephine of his disappointing day. She responded with words of strength and encouragement, “Don’t worry tomorrow you will do better”. And he did. 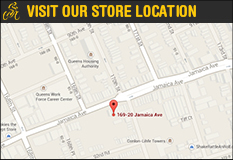 Sam Bellitte worked tirelessly growing his shop into a successful and reputable establishment. By the mid 1920’s Bellitte’s had became the largest seller of Indian motorcycles in the nation. The motorcycle side of the business flourished until late 1929 with the start of The Great Depression. The depression forced New Yorkers to utilize a cheaper mode of transportation to navigate the city – bicycles. 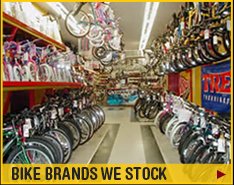 During this time Bellitte’s evolved into a full fledged bicycle shop. 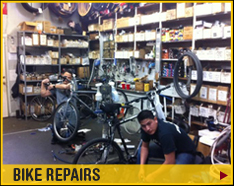 By solely focusing on bicycles, Bellitte’s was able to keep its doors open and better serve the community. It was the years dedicated to the WWII war effort that proved hardest for Bellitte’s. Due to wartime rationing, essential parts of bicycles such as the chain and pedals were not being produced. 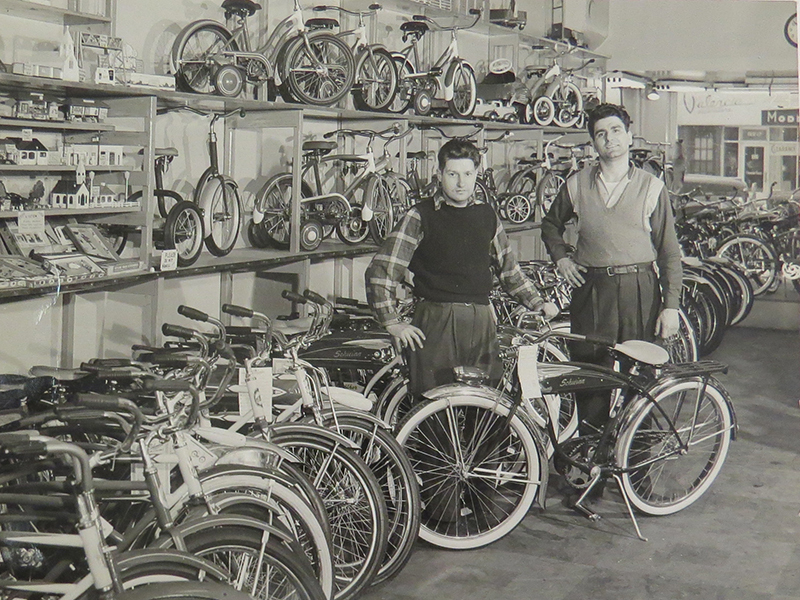 Despite this, Sam’s sons Vincent, Anthony, and Charlie who were now running the business, continued to have bicycles with missing parts shipped to the store. They used spare parts found all over New York City to complete the new bikes. It was the 2nd generation that led the business from its toughest days to its most prosperous years in the 1970’s. The notorious oil crisis and the start of America’s fitness craze in the 1970’s paved the way for the bicycle golden age. American’s and especially New Yorkers were once again drawn to the bicycle for its convenience, cost efficiency and newly appreciated health benefits. 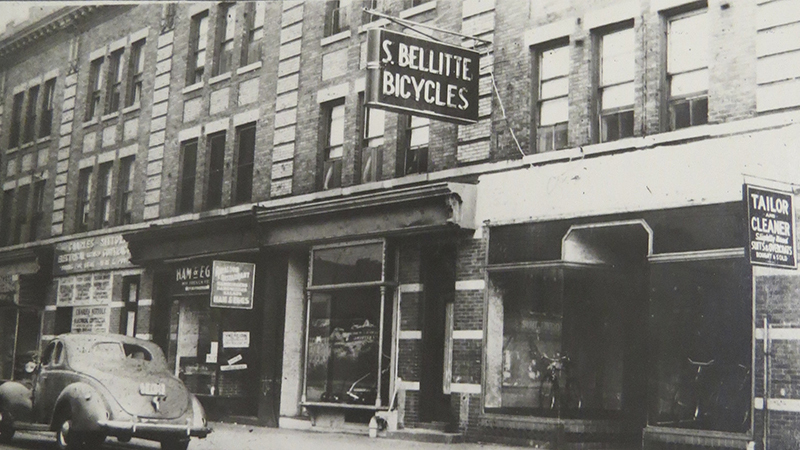 Bellitte Bicycles sold more units in that time period over any other time in its history. 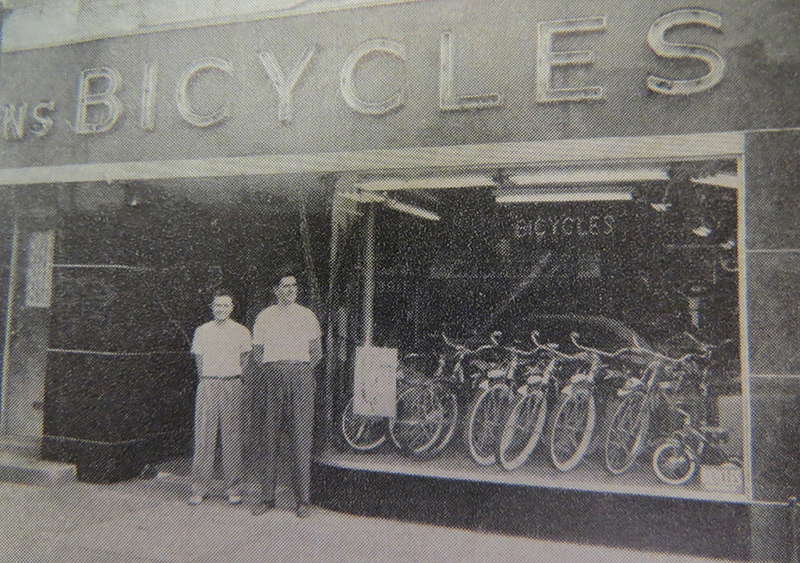 While the golden era of bicycles eventually faded away, Bellitte’s remained. 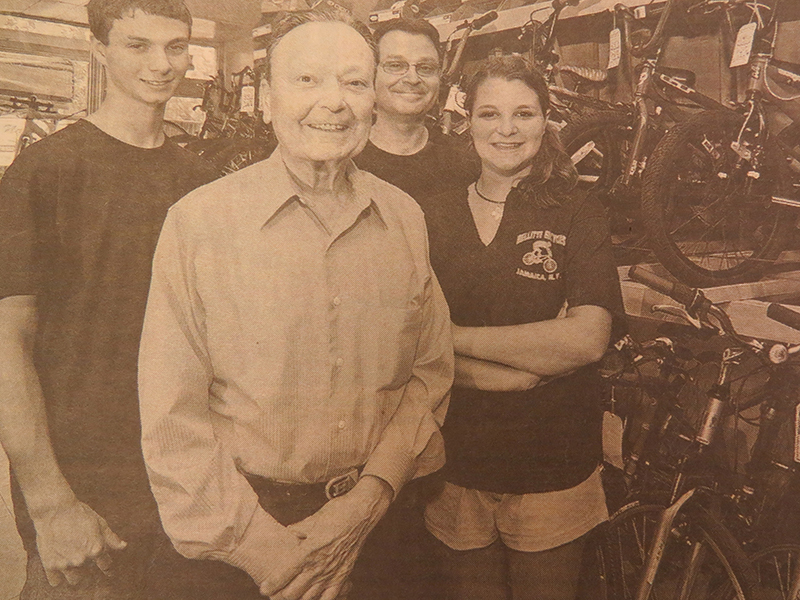 In the mid 1980’s the store was passed down to its third generation. 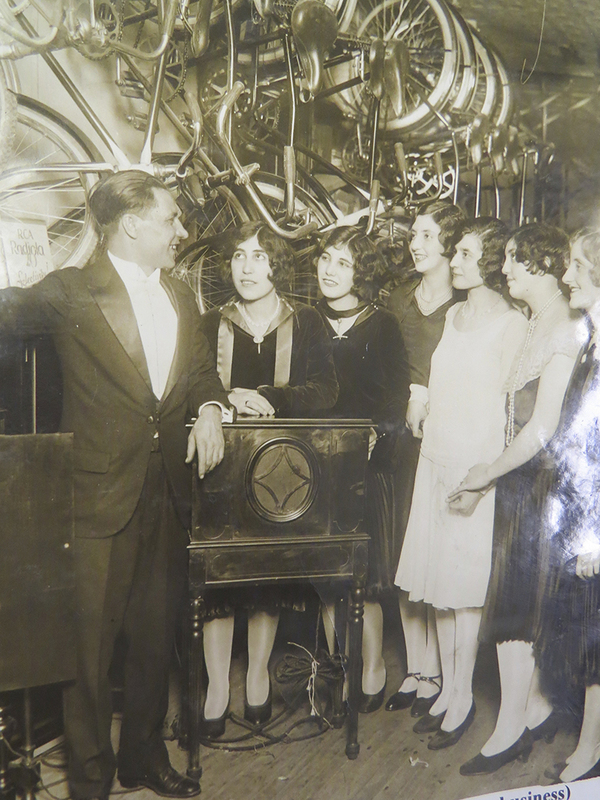 Current day co-owner Sal Bellitte, grandson of the original Salvatore “Sam” Bellitte, and family related partners took over the shop. Sal alongside with his cousins husband Peter Frouws keeps Bellitte’s current with the newest products on the market, but also maintain the shop’s old charm with the finest customer service. 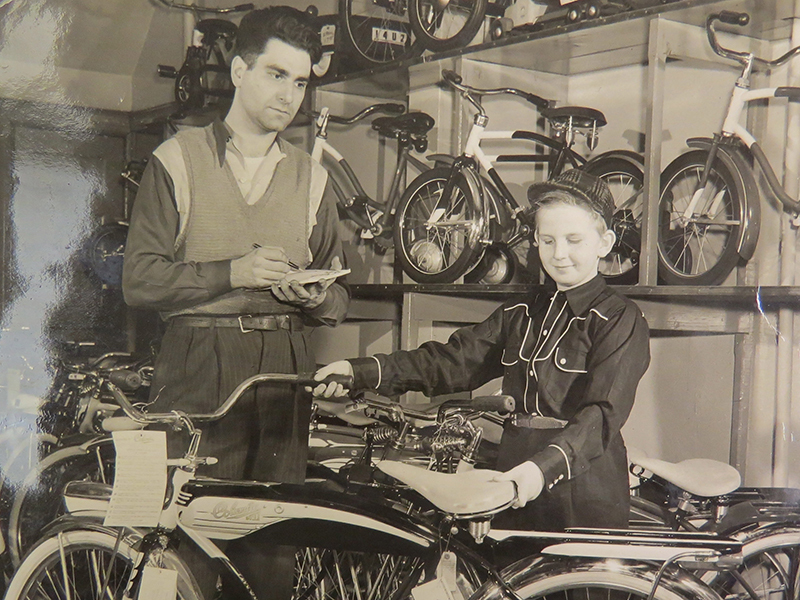 Under 3rd generation ownership, Bellitte Bicycles celebrated 100 years in business in 2018 and keeps rolling on. Bellitte Bicycles hopes to keep on rolling into the future. The current owners have sons and or daughters that have taken a serious interest in the business. On any given day you will find fourth generation Bellitte’s working alongside their parents learning the family trade. Will they transcend another generation? Only time will tell!